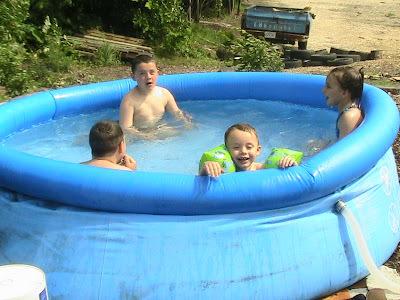 When the boys got home from school, they found us all in the pool. They quickly ran in the house and changed their clothes. 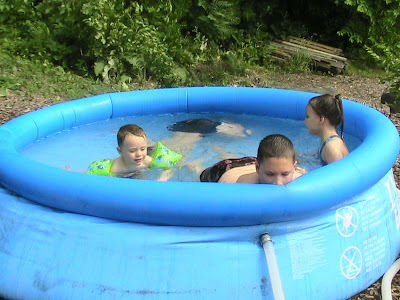 Jim liked the pool with Eme, Joe, and I, but changed his mind when 2 rowdy big kids got in. He quickly changed his mind about swimming. The 4 big kids had so much fun playing though. Joe took a minute to warm up to the idea of the water, but he got the hang of it. 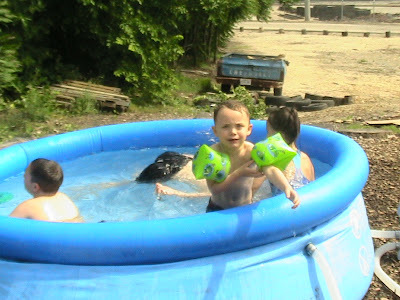 Last year, he was deathly afraid of the water. This is a HUGE step from last year! 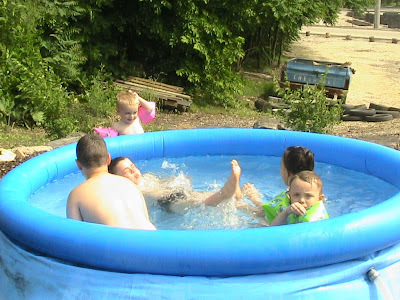 I bought a small ring pool for the kids to wash their feet on before they jumped in the big pool. To cut down on the debris. 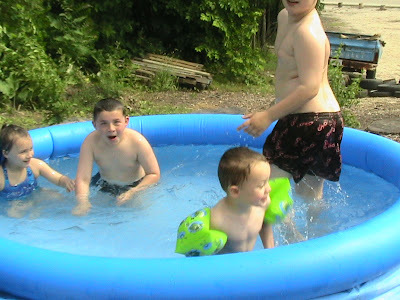 Well, Jim LOVED the little pool. He'd stand up in the middle of it, then jump into the air, and pull up his legs, so he'd land directly upon his bottom. SOOOOO funny! I must say, this is the best $50 I ever spent! they will be so ready for July and the swim park! What a great pool!! We really need to get one (one big enough to "swim" in). Peanut decided to do gymnastics this summer instead of swimming, so she needs to practice at home! 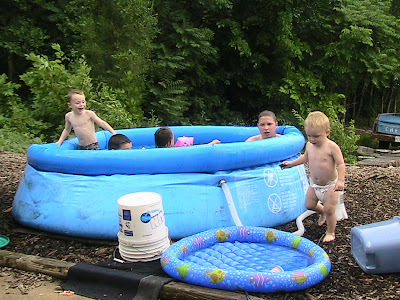 Next year you'll need another pool if your kids keep growing so fast! ha, or the one will be pretty full! 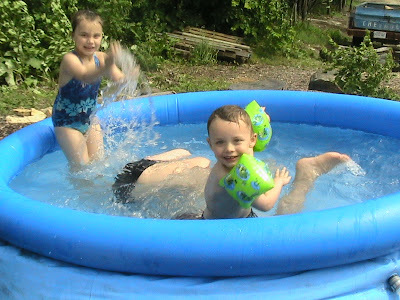 Or get another one, then we can split the pools into little kids and big kids. But I agree. There's only about room for 3 at a time!